While the 3D printing technology is evolving rapidly worldwide, appropriate solutions for license management and security aspects in additive manufacturing are still not available. 3D MicroPrint GmbH joint the research project SAMPL (Secure Additive Manufacturing Platform) to delve into those topics. For high-tech, security-related or sensitive additive manufactured parts the product authenticity, quality and intellectual property have to be assured. Until now there have not been found sufficient solutions for the demands of industry. There is a strong need of development to prevent cybercrime and counterfeiters. 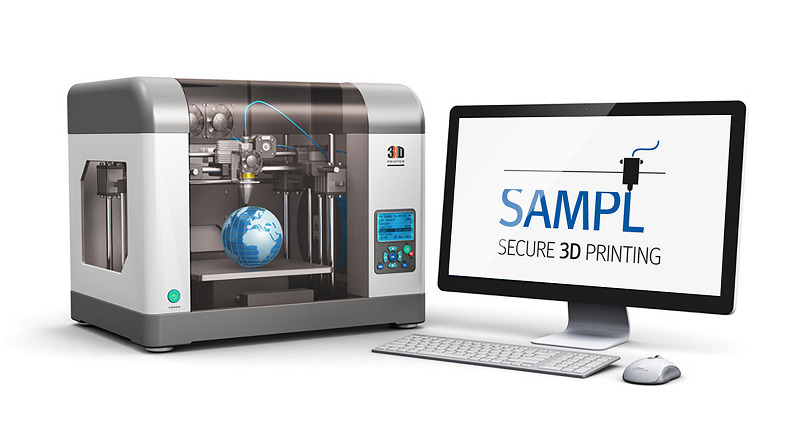 Within the project SAMPL a data exchange solution OpenDXM GlobalX linked with a Blockchain-technology is planned to be developed and verified on an industrial 3D micro metal printer provided by 3D MicroPrint GmbH, Chemnitz (Germany). The project SAMPL (Secure Additive Manufacturing Platform) is funded by the Federal Ministry for Economic Affairs and Energy (BMWi) and has a duration of 3 years. Beside 3D MicroPrint the project consortium consists of the companies PROSTEP, NXP Semiconductors, consider IT, the institute Fraunhofer ENAS, the universities Hamburg and Ulm as well as the technical university of Hamburg-Harburg. The aircraft manufacturer Airbus is associated partner in this project.